Choosing a cell phone carrier is now tougher than ever, especially now that handsets have tremendously improved and data networks are faster. If you are yet to get a new mobile phone plan, you may be paying more than necessary. In fact, switching to a better provider may lead you to a big drop in your monthly bill in terms of faster data, customer service and reliable coverage. Eyeing a top-of-the-line Apple handset? Well, it is now possible to lease and pay it off in interest-free instalments to enjoy a lower monthly bill. Below are vital guidelines for finding the best phone provider for your lifestyle. If you are on a budget, smaller carriers are the best for modest data requirements, including email, Facebook and browsing. Heavy data users are mostly suited for larger carriers such as Verizon and T-Mobile. These large carriers have a unique advantage over their smaller competitors, especially since their coverage around the country is great with the high-speed 4G internet. You can use the zip code of your provider to find out about the coverage. Also, before signing up, ensure the provider is open to receiving your phone back should you experience coverage problems. Some carriers give clients up to 14 days to decide if they should continue using the phone or not. You may incur a restocking fee too, so get the details before making your purchase. For most phone users, the largest portion of their charges is mostly related to the amount of broadband received. Therefore, always have a rough figure of the amount of data you are likely to use per month. The amount of data used monthly depends on the access to a WIFI hotspot and the the frequency of downloads and gaming. Light data users tend to spend most of their time checking emails and social media sites. Medium data users are a little dependent on the internet when giving a few touch-ups in their streaming and limited gaming. Heavy data users rely on the internet consistently to download movies, videos and games. When should you replace your Phone? You can consider replacing a troublesome phone such as one with a cracked screen. When moving to another provider, you don’t necessarily need to replace your phone. 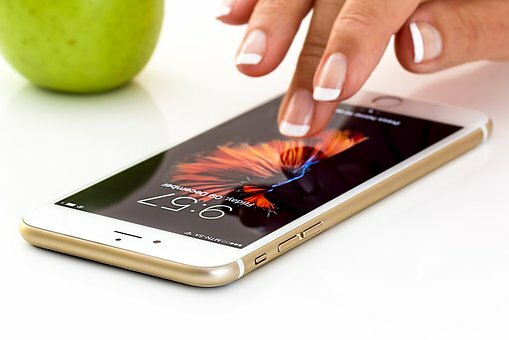 In the past, providers would lock their phones to discourage users from going through the process of paying for other handsets. Some providers today such as Apple have unlocked phones, giving you the chance to switch from one operator to another. However, if you plan on replacing your old model with a new one, it would be a great idea to change your phone. Mobile phones play a great role in running apps and browsing the internet, and also facilitating social networking. The difference comes in on how either operating system can handle the tasks. Also, the OS has a huge effect on the selection of apps. While most people tend to stick to one OS, it is worth knowing that switching can present additional features that are more appealing than what is at hand. Today, different phones come with features upgrades to help their users be more efficient and productive. Voice command is a good example, where users dial up numbers by calling out the digits or mentioning the contact name. Also, there are phones that allow users to schedule meetings, find local businesses and make notes. Different providers have varying modes of payment. You can choose to pay for it over time or lease it. Paying over time is recommended when you have expensive taste. You can have the retail price divided into 24 monthly instalments or less. Before signing up, read the fine print to ensure the period is favourable for you. Leasing is ideal for people who love to switch providers every one or two years. It means that after a certain period, you can change your phone for a new model. If you are considering a move to a different carrier, make sure you are getting the best deal and that your needs are fully covered. Figure out the best broadband for in terms of light, medium and heavy data services before switching.